Real Betis match on Sunday came with complications. Las Palmas was able to get their victory secured early by netting a goal in the 19th minute of play. From then on, it was only frustration that influenced Real Betis and Guardado throughout the match. A total of six yellow cards were handed out to Real Betis side, including a red card as a result of a second yellow. Andres Guardado was part of the scuffle, getting his own yellow card in the 70th minute of play. Bad games will happen but life goes on. Guardado still has been some of the most playing time out of all the Mexicans abroad. 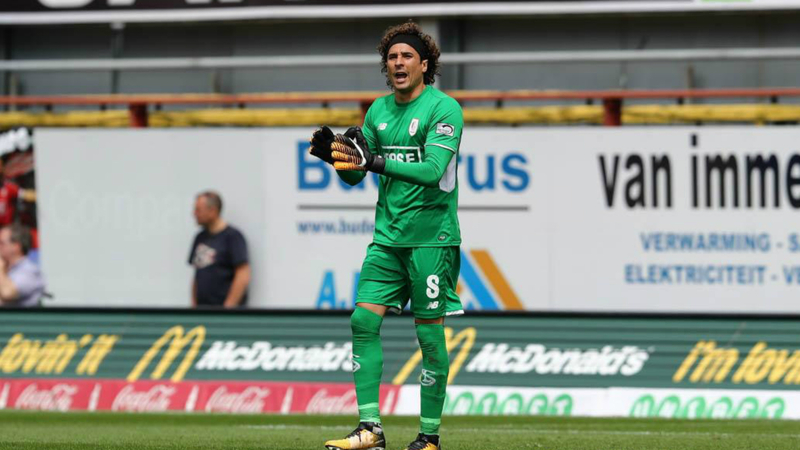 Despite a defensive error that led to a penalty for Antwerp against Guillermo Ochoa that was unfortunately not saved in the 72nd minute that also took away the lead from Standard Liege and ended in a 1-1 draw, Ochoa’s performance in Belgium has been going well. He had a fantastic penalty save last weekend. He’s started every game he has played in. He was also recently named the Player of the Month for the team. 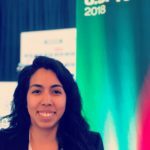 From a national team standpoint, the confidence level for the goalies needs to be as high as possible, especially with the World Cup only a few months away. It’s another round up of Mexicans Abroad clashes! This weekend saw the Mexican players from Porto FC take on Benfica and Raul Jimenez…. sorta. 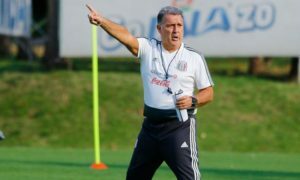 Jimenez was subbed into the match at the 85th minute and Hector Herrera was the only Mexican player who started the match and played the full 90 minutes. Diego Reyes did not play. The match ended in a 0-0 draw and appropriately so. There has been a big discrepancy in the amount of playing time the players in Portugal have been getting. Although this has always been a concern from those that follow the national team, it has now increased following the World Cup draw and Mexico’s placement with Germany, Sweden and Korea Republic. 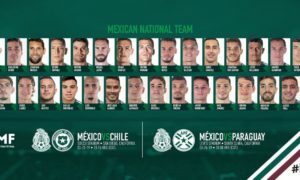 Many people have labeled it as a ‘Group of Death,’ with Mexico having to prove their best abilities if they are going to advance out of the group stage and finally make it to the ‘Quinto Partido.’ But that ability starts here, with the clubs and the players getting the necessary playing time. 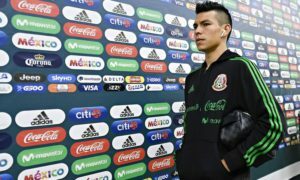 Alongside Guardado, the player taking most advantage of their opportunities in Europe has been Hirving ‘Chucky’ Lozano and his time at PSV. The match on Sunday against Sparta Rotterdam ended in a 1-0 victory for PSV with Lozano playing 85 minutes. He might not have gotten the goal for PSV, but he is still the lead goalscorer in the league and the player to get to 10 goals the fastest. He has surpassed all expectations and should he continue this form, should have major confidence going to the World Cup in 2018. West Ham took a surprisingly early lead against Manchester City on Sunday but the match would see Man City reclaim the lead and end it with a 2-1 victory and needed three points. Javier ‘Chicharito’ Hernandez has been out of a few weeks due to a hamstring injury but the team’s official twitter account posted a video of Hernandez back in training on Monday morning. West Ham currently sits in 19th place in the English Premiere League table. Couple that with the firing of the former manager and the signing of David Moyes, it has not been the best of seasons for ‘Chicharito.’ Still, playing time is crucial and ‘Chicharito’ would benefit from it greatly.